I finished my handwarmers! Too bad spring has just begun and I probably will not need these until next fall. I think I’m going to be so prepared for fall and winter next year. My next goal is to make a set with thumb holes. Of course while I think of what I’m going to make next, I work on my between projects project. I got added some rows prior to beginning this cowl. 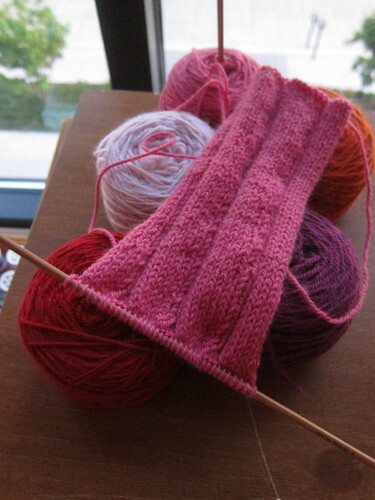 I thought that the rick rack pattern that I saw on Purl Bee would work well as a cowl, so I am trying. 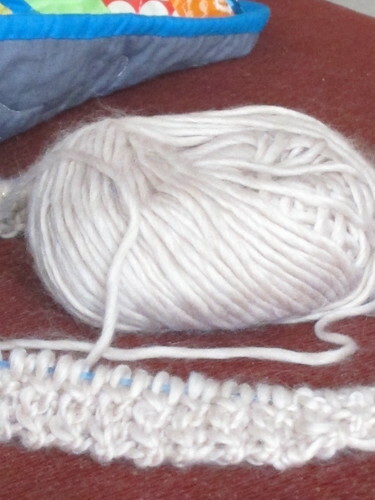 The ridges in the pattern do not stick out as much as in the photo, but that is probably because of my yarn choice. 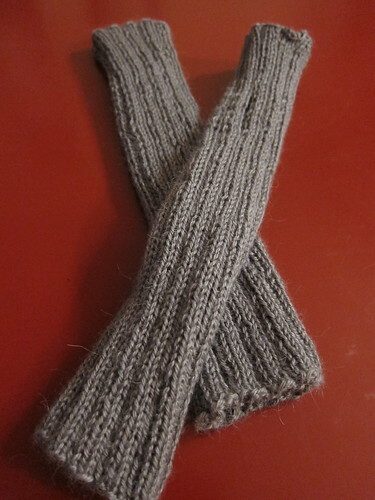 This entry was posted in Crafting and tagged hand warmers, Knitting, Scarf. Bookmark the permalink. One Response to One set done! I also have a between projects project, but my current problem is that I hate working on it. I just want it to be done so I get the needles back for other things. Sigh. I’m having yarn color envy of everything in this post!